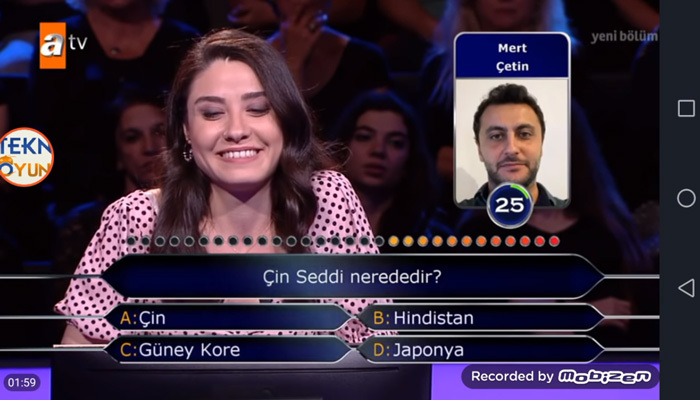 Contestant On Turkish KBC Uses Two Lifelines To Answer "Where Is The Great Wall Of China?" KBC was an instant hit with Indian audience pretty much the moment it hit the small screen. So many evenings spent with the family watching the show and trying to get the answers right. And at least once, we’ve all felt like we could easily rake in the moolah had it been us in the hot seat instead. But of course, it’s not as easy as it seems and having the timer ticking and money on the line, it would take a lot to not have our minds go blank. However, one contestant from Turkey took the mind fart thing to whole new heights in the Turkish equivalent of the show. 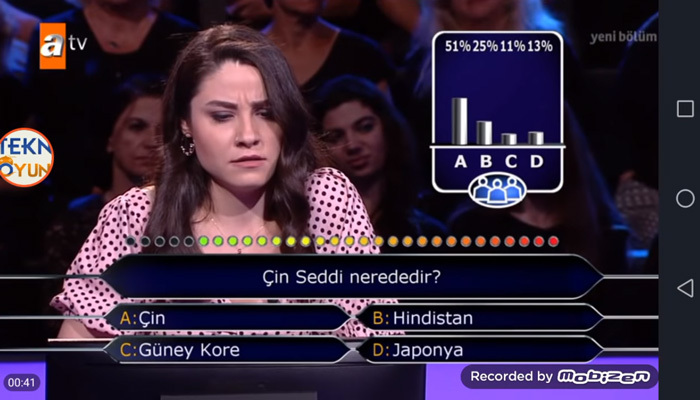 26-year-old student Su Ayhan was a couple of questions into the show when she was met with the mother of all questions (at least in her case here). The contestant was given China, India, South Korea and Japan as her answer options. Now I know what you’re thinking. That’s easy money right there! For Ayhan however, the question was one that warranted not one but two lifelines. Weirdly, only 51% of the audience actually thought that China was the home of the Great Wall Of China. I almost screamed out “The answer is right there in the name!! !” at the screen. Thankfully, her friend steered her in the right direction once and for all, and the economics graduate from Istanbul proceeded to win the prize money for the question of her lifetime. Her winning streak didn’t last much longer as she got eliminated in the very next round for failing to name the composer of a very popular Turkish song, according to NDTV. And it seems Ayhan isn’t particularly to be singled out for ignorance in this matter since as per a report by News 18, the search for “Where is the Great Wall of China?” has shot up considerably in Istanbul following the clip going viral.